Backflow in extreme cases etc. But all of these problems associated with the septic system are preventable. 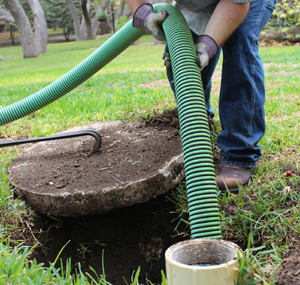 Regular maintenance of the system coupled with inspections and cleaning not only ensure longevity of the system but also make for a stress-free life with regards to the septic system. The capacity of the septic tank. Reducing risk of failure of the whole system. Washing machines which need to be programmed with the correct washing and drying cycles associated with the amount and type of clothes put into it. No toxins and chemicals should be allowed to go down the drain to enter the septic tank since the bacteria which actually helps to break down the septic tank waste will get destroyed and hamper the working of the septic system. Obstruct the path of the flow of the sewage and water into and from the septic tank. Excess water should not be allowed to enter the drain field and hence roof drains, rainwater drainage systems, sump pump etc., should be kept as far away from the drain field as possible. Using septic-tank safe products etc. Maintaining the septic tank actually increases its longevity and thus should be taken care of with sincerity, honesty and timely work. If the above parameters are kept in order and the above procedures are followed, the septic tank will continue to give service for many years to come.